Update at 4:25 p.m., Tuesday, Jan. 16 — Vail Police have identified the deceased male found in Gore Creek near Lionshead Village on Tuesday, Jan. 16, as Maldwyn George Zang, 59, of Vail. Zang is a long-time local and is survived by his two sisters and one brother. The investigation into the cause and manner of death is continuing. 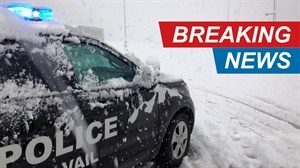 A man’s body was discovered in Gore Creek just below Chair 8 in the Lionshead base village section of Vail Tuesday morning, forcing the shutdown of that ski portal for a couple hours while emergency responders recovered the body and investigated the scene. Vail Police are investigating the circumstances surrounding the discovery of a deceased male found in Gore Creek on Tuesday, Jan. 16. At approximately 9:03 a.m., a female caller reported seeing the man’s body from the ski lift. Vail Police officers and detectives as well as personnel from the Vail Fire Department worked to recover the body from the creek. He was transported to the Eagle County Coroner’s office for further investigation. The man was not able to be identified on scene. The man appears to be between 45 and 55 years old. He was wearing a black and dark gray zip-up fleece over a bright blue zip-up vest, black pants and brown leather lace-up boots. A backpack was found in the creek nearby, but did not contain any identifying information. There was a copy of a local newspaper in the backpack dated Jan. 15, along with a small set of car keys and a first aid kit. The investigation is ongoing and updates will be provided as information becomes available. Further inquires or information that may lead to his identification can be directed to Detective Sgt. Luke Causey at 970-479-2346 or lcausey@vailgov.com.